A global research team has built five new synthetic yeast chromosomes, meaning that 30 percent of a key organism's genetic material has now been swapped out for engineered replacements. This is one of several findings of a package of seven papers published March 10 as the cover story for Science. 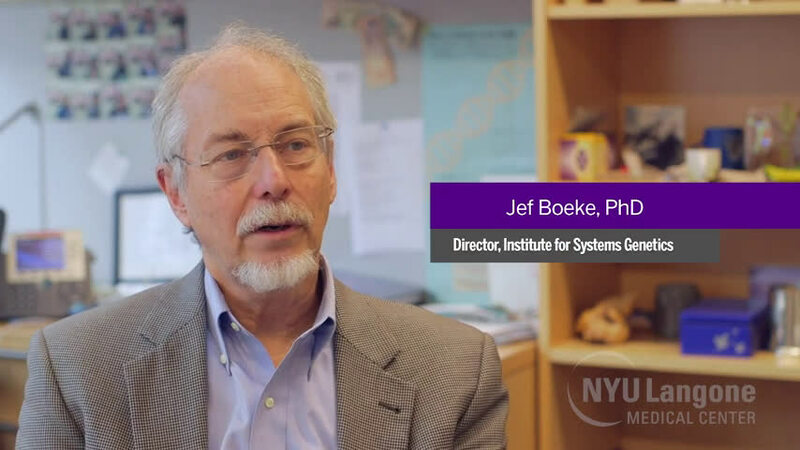 Led by NYU Langone geneticist Jef Boeke, PhD, and a team of more than 200 authors, the publications are the latest from the Synthetic Yeast Project (Sc2.0). By the end of this year, this international consortium hopes to have designed and built synthetic versions of all 16 chromosomes - the structures that contain DNA - for the one-celled microorganism, Baker's yeast (S. cerevisiae). Like computer programmers, scientists add swaths of synthetic DNA to - or remove stretches from - human, plant, bacterial or yeast chromosomes in hopes of averting disease, manufacturing medicines, or making food more nutritious. 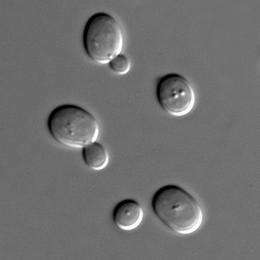 Baker's yeast have long served as an important research model because their cells share many features with human cells, but are simpler and easier to study. "This work sets the stage for completion of designer, synthetic genomes to address unmet needs in medicine and industry," says Boeke, director of NYU Langone's Institute for Systems Genetics. "Beyond any one application, the papers confirm that newly created systems and software can answer basic questions about the nature of genetic machinery by reprogramming chromosomes in living cells." In March 2014, Sc2.0 successfully assembled the first synthetic yeast chromosome (synthetic chromosome 3 or synIII) comprising 272,871 base pairs, the chemical units that make up the DNA code. The new round of papers consists of an overview and five papers describing the first assembly of synthetic yeast chromosomes synII, synV, synVI, synX, and synXII. A seventh paper provides a first look at the 3-D structures of synthetic chromosomes in the cell nucleus. Many technologies developed in Sc2.0 serve as the foundation for GP-write, a related initiative aiming to synthesize complete sets of human and plant chromosomes (genomes) in the next ten years. GP-write will hold its next meeting in New York City on May 9-10, 2017; please visit this site for more information. To begin synthesizing a yeast chromosome, researchers must first plan thousands of changes, some of which empower them to move around pieces of chromosomes in a kind of fast, high-powered evolution. Other changes remove stretches of DNA code found to be unlikely to have a functional role by past efforts. Libraries of altered yeast strains can then be screened to see which have the most useful features. Previously, researchers were required to finish building one piece of a chromosome before they could start work on the next. Sequential requirements are bottlenecks, says Boeke, which slow processes and increase cost. The current round of papers features several efforts to "parallelize" the assembly of synthetic chromosomes. Labs around the globe each synthesized different pieces in strains of yeast that were then mated (crossed) to quickly yield thriving yeast, not just with an entire synthetic chromosome, but in some instances with more than one. Specifically, a paper led by author Leslie Mitchell, PhD, a post-doctoral fellow from Boeke's lab at NYU Langone, described the construction of a strain containing three synthetic chromosomes. "Steps can be accomplished at the same time in many locales and then assembled at the end, like networking laptops to create a global super computer," says Mitchell. In addition, experiments demonstrated that drastic changes can be made to the genomes of yeast without killing them, says Boeke. Yeast strains, for instance, survived experiments where sections of DNA code were moved from one chromosome to another, or even swapped between yeast species, with little effect. Genetically pliable (plastic) organisms make good platforms for the dramatic engineering that may be needed for future applications. The package of seven newly published had authors from ten universities in several countries, including the US (NYU Langone, Johns Hopkins), China (Tianjin, Tsinghua), France (Institut Pasteur, Sorbonne Universités), and Scotland (Edinburgh); along with authors from key industry partners: BGI, the leading Chinese genomics organization, US/China-based Genescript, and WuXi Qinglan Biotechnology, Inc. Led by the School of Chemical Engineering and Technology at Tianjin University in China, the paper describing the synthesis of SynV is noteworthy in that is was done by undergraduate students as part of "Build-a-Genome China", a class first taught in the United States at Johns Hopkins, where Boeke worked before coming to NYU Langone. This is part of an emerging global network of "chromosome foundries," says Boeke, "which is building the next generation of synthetic biologists along with chromosomes."